Finally got around to watch the final episode. It left me with a bit of a "meh" feeling. This season was very hit or miss. I think there were only two or three eps that I actually enjoyed. I appreciate that they started over with all new characters in a "new" setting... but somehow it just never took off. I didn't feel connected to any of the characters. No one to cheer for, no one to root for... Nothing to really look forward to. Sure, some of them were cool, props to JuriNagao combi, LemonAnna, Iriyama, etc., but the characters were all very flat compared to the powerhouses we got before like Gekikara, Gakuran, etc. I prefer MG2 to MG3 on pretty much every level. The TomoTomo fight, Gekikara running in to rescue Gakuran, all the Nezumi x Center schemes... Yes, MG2 had some massive flaws as well, but it still had some proper "woah" moments. Majisuka Gakuen 3 did something a little different which definitely helped, but the fun and cleverness was still missing, in my opinion. So, I liked this season. A lot. On S1 levels. It especially succeeded in that it won me over to the majority of Team 4, who I had only paid cursory attention to before, and it made me like every single character played by the girls, other than Paru and Peace. No, the overall acting was not as good as S1. (Just listen to the digest at the beginning of ep 11. Monotone, monotone, monotone, monotone, JURINA LIKE BOSS, monotone, monotone, soft-n-silky Annin. ) There were individuals who were on par with S1's greats, like Jurina, Annin, Juri, and Anya, and most of the others were about on par with the Team Hormone ham, and then you had the likes of Maria and Kawaei who started out ridiculously bad, and then slowly turned that badness into a charm. I've ragged on Paru's acting all season already. But these last two episodes were supposed to be Yuria's tour de force. You can see that Yuria has an easier time spitting out the words, and has a nice flow to them, but again, I got absolutely no character. I have no idea what Peace's personality is supposed to be. They didn't even use the easy out of trying to show that Peace is a chameleon and thus why she's a blank slate of character, so I can't look over this. In a ham-fest like the MG series as a whole is, I'd rather have so-bad-it's-good acting with a distinct character, a la everyone else, than this non-persona. When I said that I liked every character other than Paru and Peace, I don't mean that I disliked Peace as a character. She's so bland I have no feelings about her character, but then the way the final two episodes hinge on her makes the story fall flat because of it. Kind of how the whole season gets dragged down by Paru's lack of character. At least Paru kind of that those shoehorned romance subplots and "real stuff" gimmicks to fake some characteristics, so she wasn't quite as bad as Peace, who managed to have her "I am the requisition department" and STILL be blander than Paru and Paruru's acting! Yuria was great as a exposition-bot. She got the information out quickly and clearly. She'd be a great omniscient narrator for something. But she's no character actor. The final two episodes themselves were just this side of good, in isolation. They were a good culmination of everything the entire season has been building towards, primarily the camraderie between the girls. Unfortunately, the majority of the culmination was of the half of the season's events that were not shown on screen. The writing for this seems like it was meant for either 13 full-hour episodes or 26 half-hour episodes, but due to being 12 half-hour eps, they simply cut out so many character development/bonding moments to ensure that the plot and exposition necessary was in there, and a lot of that plot/exposition said, not shown, which is a waste of the medium. What's left meant that a lot of the alliances here between Habu and Mongoose rang false, such as Nanashi and Messi/Yagi, Annin and Dasu, or Tetsuo/Uruseeyo and Bunker. The implications of how it would work are there, like Messi/Yagi gaining respect for Nanashi since she didn't give up, but we didn't see that on screen, so in effect it didn't happen! Miyu, Peace, and Komimi's backstories also lost so much of their punch because they'd say that they'd change and why, instead of us seeing those decisions and developments occur organically. So in other words, about on par with Power Rangers, which is appropriate since the writer for MG3 was an Ultraman writer. MG3 was better than MG2, imo. I can easily imagine the improved novelisations for MG1 and MG3, fixing continuity errors, fleshing out and/or deepening characterization, tightening up and interweaving plotlines better, because the show did most of my work for me already. MG2? I can't even begin to write that outline because while the story might work on its own, trying to make sure that it doesn't violate any characterization/themes/plot points set up in MG1 is near impossible. While MG2 did have great moments as SomethingWild said, the majority of those moments would NOT have happened without the massive characterization massacre that happened between MG1 and MG2. At that point, those moments are tainted by the fact that they only work when they've broken the story's internal logic, which imo is a much worse storytelling "crime" than not being realistic, which is MG3's. I decided to watch this series just recently, and have just finished. I followed this thread, but made sure that I watched each episode first, before reading the comments posted here. I enjoyed the first season, and have not seen Majisuka Gakuen 2, so cannot bring that into the discussion. Japanese Drama or comedy show- she is as natural in front of a camera as you can get, and she could play a someone her age in any show or film and do it right. Two others pretty much good to go in the 'real world' are Kumi and Miyu. Kumi might have a disadvantage from having been an idol, because in her case her extremely good looks might play against her. Audience might see her as an ex-SKE48 idoru, and she might only get cast in roles that match up to it. But I hope she gets her chance- she can do crazy mad, crazy funny, and does serious well. Miyu did very well in this series, again she may be subject to being typecasted as the quiet, meek girl with a dark secret because she has a more serious look. Next is Paruru- she was taking a lot of hits for her 'emotion- light' style of acting, it reminded me of Aachan in the first Majisuka, and that performance worked for me as did Paruru's performance in this drama. Her acting does seem to have less range than the first three girls that I mentioned above, but I though she did a good job, especially considering how much screen time she has. I was pretty impressed by Kanon, and the puppet routine did not bother me, altough at times it was a bit shocking, like when a parrot decides to screech at any given moment. To me, the puppet speaking for her was classic 'tell' about someone who was traumatized at a very young age, just like Rina Kawaei writing letters to parents was a 'tell' for an abandoned child. And Kanon had some good lines later in the show and really delivered them like a pro. And speaking of Rina, I thought she did well, she delivered her part nicely, especially in the last two episodes. 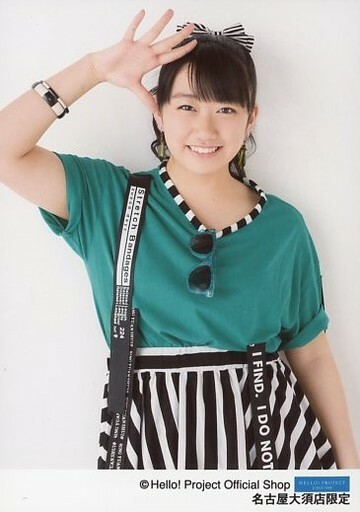 Mina Oba was good as a leader of one team- she has the age difference over most of the other ex team 4 members, and it was believable to see her as leader in this show. Jurina is always good, if I had one criticism, and this might not be her fault, but they way the blocked her moves, she did not look to be that good of a fighter. This might have been the rush of the show, not Jurina's fault. Because earlier in the show, Paruru had a damn nice looking Steven Seagall Aikido feel about her fights, and then it turned into a 'how many times can I hit somebody in the face before they pass out, or before I break some bones in my hand' fighting style. But Jurina does have the camera presence to play a Nobunaga type role. Other shout outs for small but cool parts- Lemon and Rena pairing worked nice. Miyori does deliver whatever she is asked to do, and the role was well written, and Rena had great timing. Haruka Shimada and Maria Abe played the loveable goons- if there was some less than Oscar Award worthy acting skills, I think they still did justice to the roles. Juri and Yagi- geez, that was a well thought out pair, similar to the Kabuki Sisters in Maji 1. But in this show the Juri/Yagi pairing was actually better developed than the pairing of the Kabuki Sisters was in Maji 1. And our loveable little Anna-stasia - she nailed her role- great experience for her. The plot- yeah it was kind of slow some episodes, and then a couple of episodes flew really well. I have different expectations for 'Idol' films or dramas, then I would for a drama that was cast by auditions of actors. But for anyone who saw the very first Morning Musume film 'Morning Cop' , will know that Idol films have improved greatly. So I enjoyed this series, and now I want to try and watch Majisuka Gakuen 2. 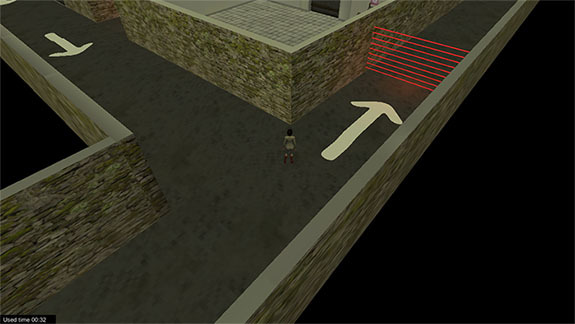 I have made a Majisuka Gakuen 3 based game, Nanashi's Mission. You can either install the game to your Windows PC or play it in your web browser (if you have Windows it is better to install). Konichiwa... Do You know what Video is This? and This is Yukirin or Lookalike? Yup. The first set is from 130505 AKB Eizo Center ep03. The second set with the shower scene is from 130504 Tagarin ep04. 1. Questions like these might be better if asked in the 2 threads below. As the questions you asked has nothing to do with Majisuka Gakuen. - The AKB48 Question Thread. Ask us an AKB question, everybody will try to answer. - [TEAM B] YUKIRIN ~ The Kashiwagi Yuki Thread. Thread all about Yukirin. 2. When posting in the forum. You might want to only post one gif for each post, or thumbnails for multiple gif images or really big images. So it won't slow browsing for everyone. Your 2 posts above is already near 10mb, you can guess how it would be if everybody posted like that. Also, welcome to JPH!P! Hope you have fun checking out the forum. All the official vids on youtube were removed (made private after the show ended). So you won't be able to find it there. You can still watch it on other places (like youku, etc). Im Watching Majisuka Gakuen Season3 Episode 1.... Can i Ask a Question Guys.... Where is Maeda? what happened to her? 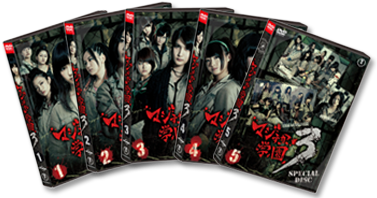 I guess Majisuka Gakuen 3 is another story its different from the two it evolves on the prison not on the school anymore. As you can see Majisuka Gakuen 2 ended when Atsuko was arested by the police but for me it doesn't have any connection to Majisuka Gakuen 3. I'm addicted to Akb48 and its sister groups, Im also addicted in Kpop! My Oshimen is Takamina! Page created in 0.446 seconds with 14 queries.